Resemblances live when we give them attention, try it yourself for another dimension. My artistic response to the block chain. 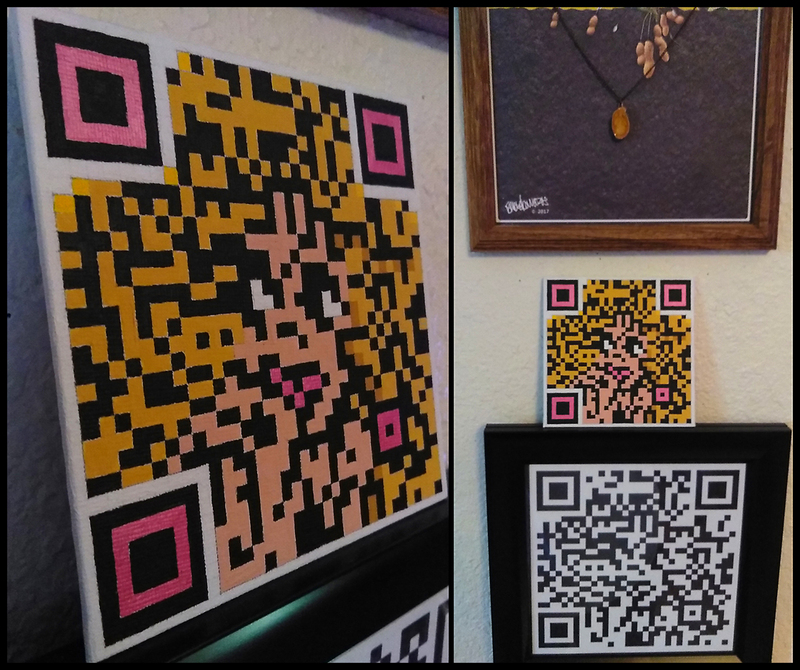 My latest painting is of a blonde woman done in a pixelated style (think Minecraft) titled “This Isn’t Just Another Pretty Face”. 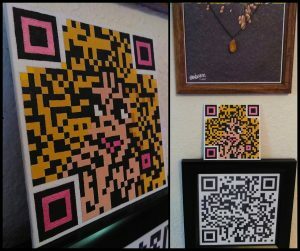 I recently began a trip down Crypto lane and without trying, resemblances from the random patterns generated by QR Codes began jumping out at me. BTC wallet from which Blondie was extracted – see the eyes?! 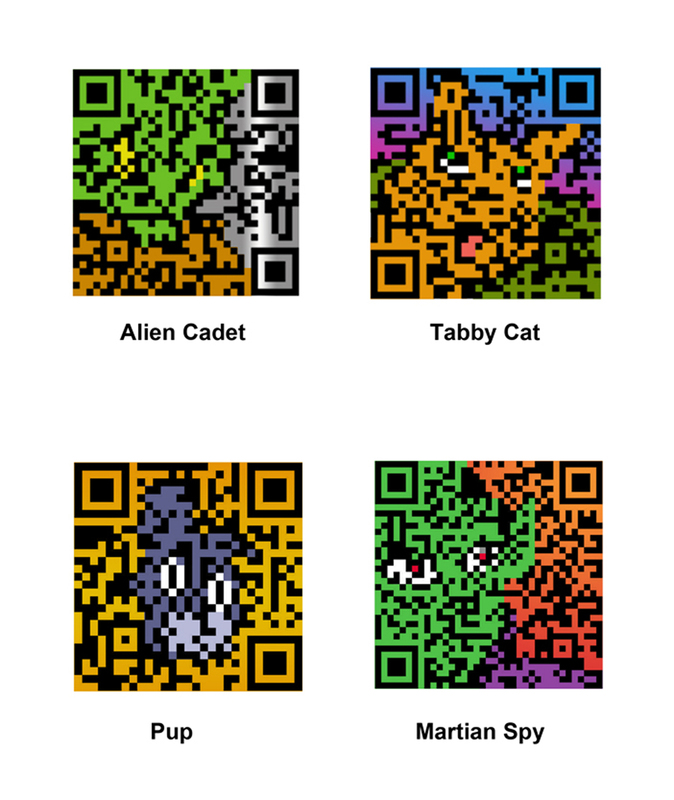 Per usual, I added color to the pattern to bring these images to life as I found that, for the most part, it doesn’t take away your ability to scan the code! The finished product is an acrylic painting on canvas panel 5″ x 5″ that has a base value that no one can dispute. You see, I’ve added .01 BTC to the wallet/painting! The painting is framed and ready for hanging and costs just $300. The exciting part about your painting is the value is sure to rise as Bitcoin becomes more popular! For the art collector who also collects crypto currency, this is the perfect gift! Because Bitcoin is 1’s and 0’s, there is nothing physical to show off – this gives you the opportunity to not only show your interest in Bitcoin but it also can be your wallet for others to drop more BTC into! 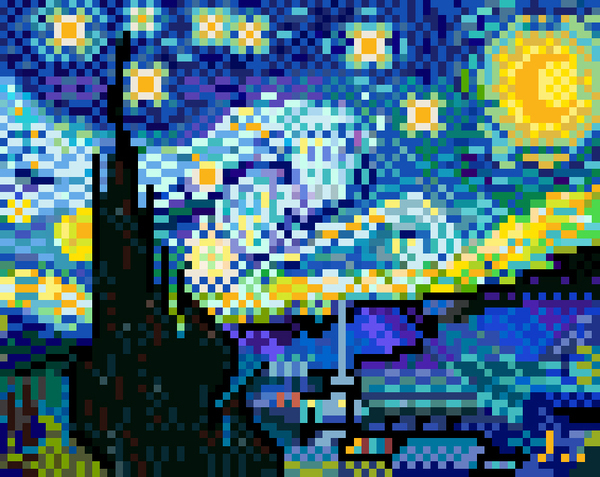 The painting is the Public Key (16RTCP5Az75Ua3UqzsWqkkqUAcCft9T1Yg) and the Private Key, to access the BTC, is attached to the back of the painting so that the actual physical object has the value. 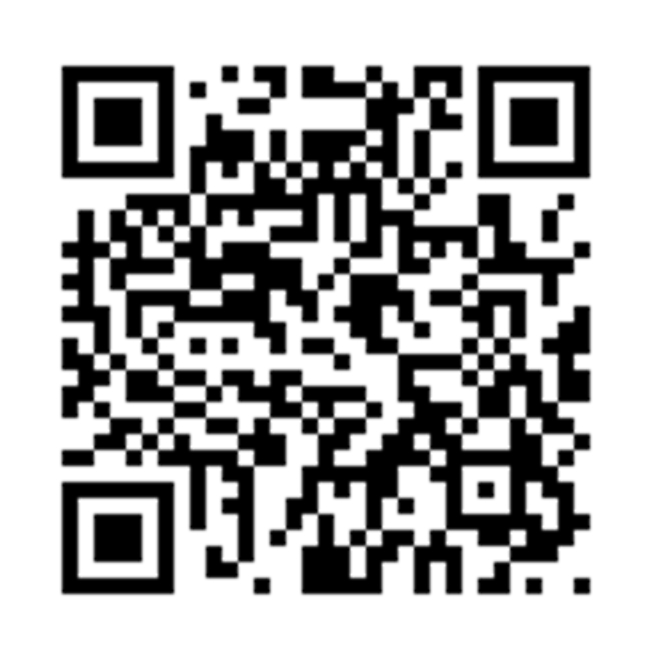 You can verify the wallet’s balance here. 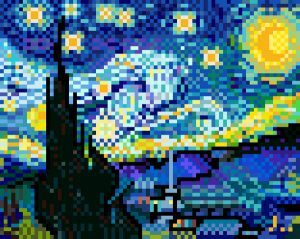 Have your Crypto Wallets transformed into works of art! Visit Custom Crypto Wallet to see more examples of this new exciting art. 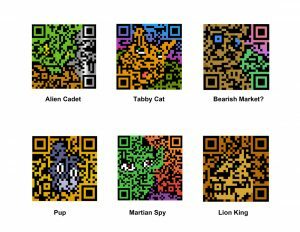 As a specialist in Recognizing Resemblances in patterns such as scribbles and drip paintings, it was only natural for me to recognize the shapes that exist in QR Codes. In fact, I created a piece two years ago this month using the QR Code generated from the word ‘Love’. 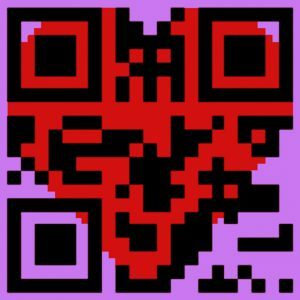 This heart, when scanned, reveals love! Would you like one of these wallets for free? When you work with the team at Investors of Crypto, your Personalized Crypto Wallet will be included! ***Disclaimer – This is strictly a novelty item. I am not responsible for any money lost or missent. 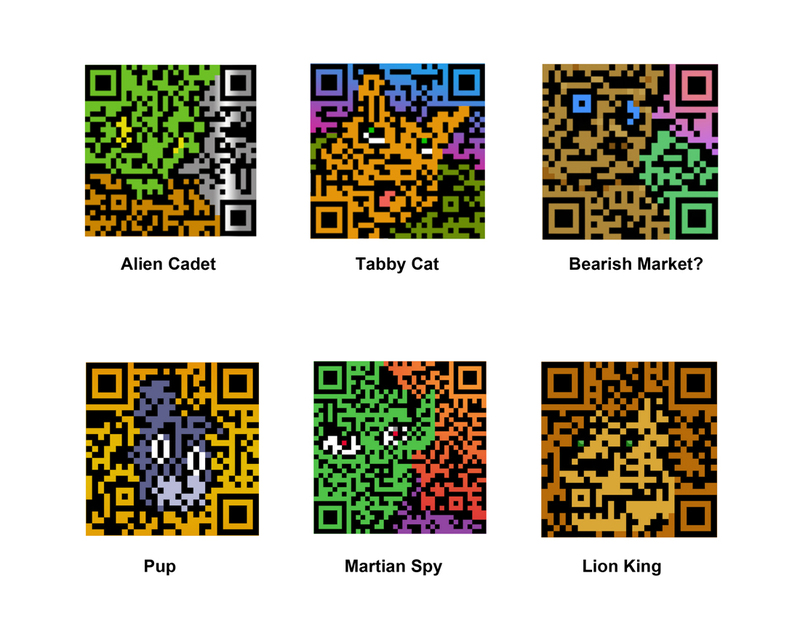 Please note, while the wallet still scans, the QR Code can lose effectiveness when color is added.